appeared on, either when they were still together or after they broke up. The best sources have been assembled and most have been remastered for this release. Some songs appear in both their mono and stereo mixes. 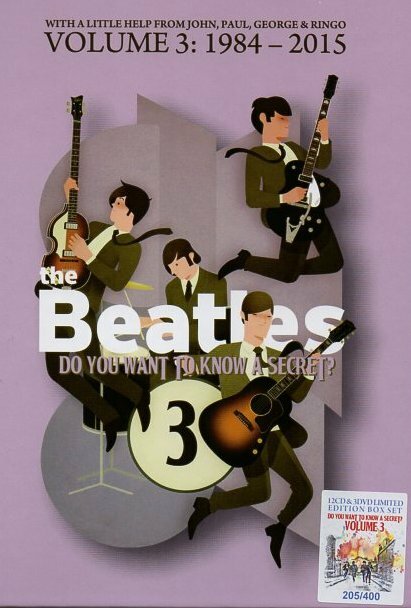 Any full albums featuring Beatles (Mary Hopkin, Billy Preston etc) have been left out since you really need the full albums. However, promotional mono single mixes from those projects are included. A wonderful quality boxset containing an amazing FIFTEEN discs (12 c.d. & 3 dvd) adding up to almost 24 hours of entertainment. Also includes a 20 page colour glossy booklet giving full track information. Limited edition of 400 numbered copies. 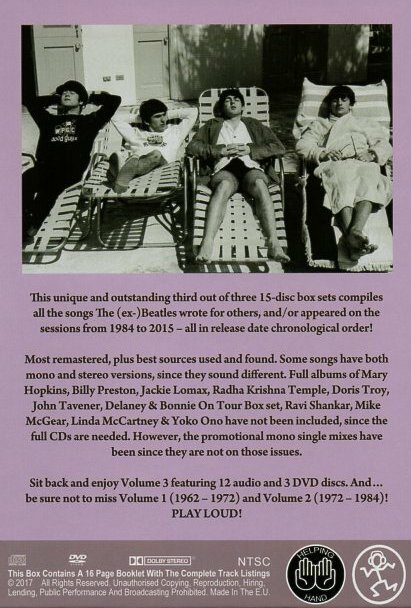 Before the disc starts there is an advert for a 50th Anniversary boxset of "The U.S. Albums". Disc Menu plays "Sweet Little Sixteen"